On this map of the east side of medieval London in 1270, St Helen’s Bishopsgate is located between Cornhulle and the City Wall. 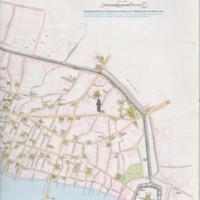 Map published by the Historic Towns Trust in Mary D. Lobel and W.H. Johns, eds., The City of London from Prehistoric Times to c. 1520, Volume III (Oxford: Oxford University Press, 1989); digitized by British Historic Towns Atlas [http://www.historictownsatlas.org.uk]. British Historic Towns Atlas [http://www.historictownsatlas.org.uk]. 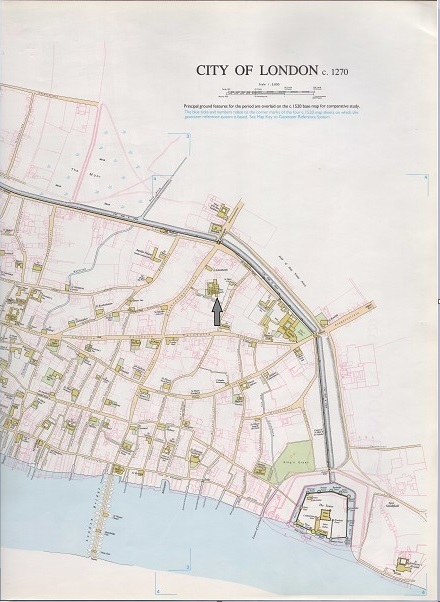 Map edited by Sydney Morris, “St Helen's Bishopsgate on London map c. 1270 (see gray arrow),” Medieval London, accessed April 22, 2019, http://medievallondon.ace.fordham.edu/items/show/223.